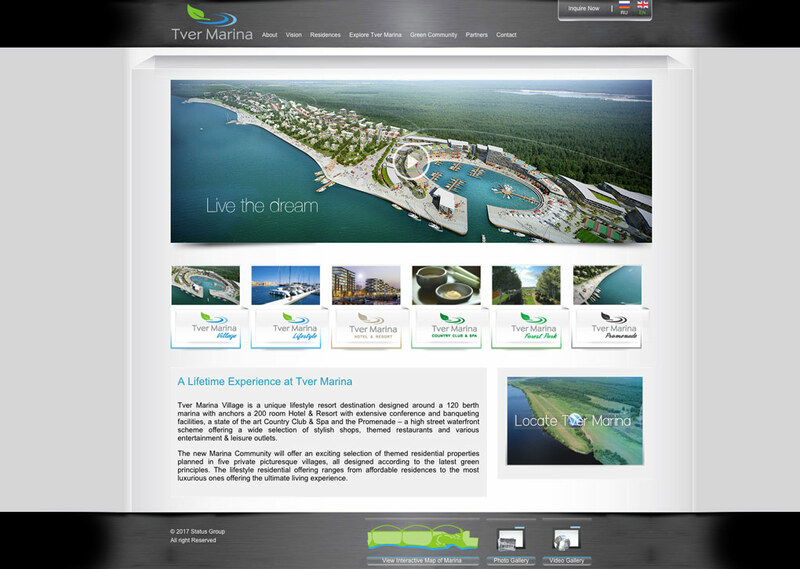 Status Group, the company behind Tver Marina Village, a highly ambitious land development, made the first contact with us back in 2011. Their project was groundbreaking so they needed a daring website to boot. After close collaboration, we came up with an equally cutting edge website to their development, that made everyone happy.